Use the following tools to help accelerate your career as an Independent Contractor in the Live Event Production Industry. Click the images below to explore the possibilities. 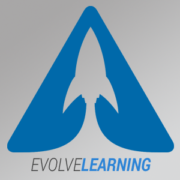 Learning with the Evolve Academy means future-proofing your skills. Contact them today to receive training on the latest equipment and techniques. Use promo code CLEMCO.AV for special pricing. Once you learn the gear, understanding how to use it in the field is the next step. The CLEMCO.U experience will teach you how to manage the workload and your client’s expectation while working on show-site. VPSG is a closed Facebook group for Video Projectionist to share information with one another and serve as valuable resources of technical support. From power, to signal, to networking, to electrical, VPSG will support you with your projection needs. Unlock your full potential as an Independent Contractor. This collective of resource providers have been assembled to assist with your success in and outside of this industry. Use promo code CLEMCO.HR for special pricing.